One of Idaho's oldest ski resorts, Pomerelle Mountain Resort has 500 skiable acres located in the Sawtooth National Forest. Skiers and riders can enjoy 24 expertly groomed runs, 2 terrain parks and a 1,000 foot vertical drop serviced by one triple, one double, and one surface lift. 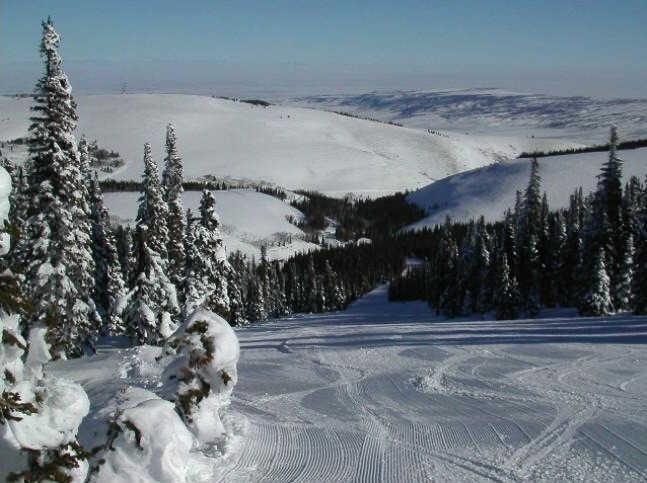 Pomerelle benefits from an average annual snowfall of 500 inches and is often one of the first resorts in Idaho to open for the season. The nearby town of Albion offers plenty of lodging options for families looking to stay at Pomerelle Mountain Resort. Professonal Ski Instructors America ski school. Ski and snowboard rental and repair available at area. Ski instruction for powder, snowboard, children and junior. classes. First aid at area, hospital is 28 miles away. Cafeteria and accessory shop.